Headphone Zone, India’s first exclusive Headphone and Earphone retail brand, has announced the launch of its online store, www.headphonezone.in. 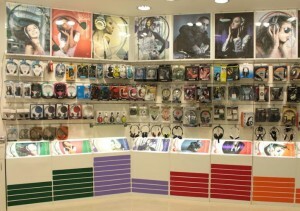 A unique multi brand retail concept that combines Music, Electronics and Fashion, Headphone Zone operates 10 retail stores in Bangalore, Mumbai and Chennai, and now hopes to leverage India’s eCommerce growth by bringing its retail experience across India via the webstore. Headphone Zone features over 800 different Headphones, all unique with a point and purpose. Just like no two individuals, their personalities and styles are the same, the same applies to Headphones. Bata in an Analyst Call stated that against its steady state run-rate of 100 new stores targeted annually in future, the firm has already opened 64 new stores so far in CY14. Management expects to open upto ~160 new stores in total during the year including ~120 new stores under the “Bata” format and ~20 stores each under the Hush Puppies and Footin formats.